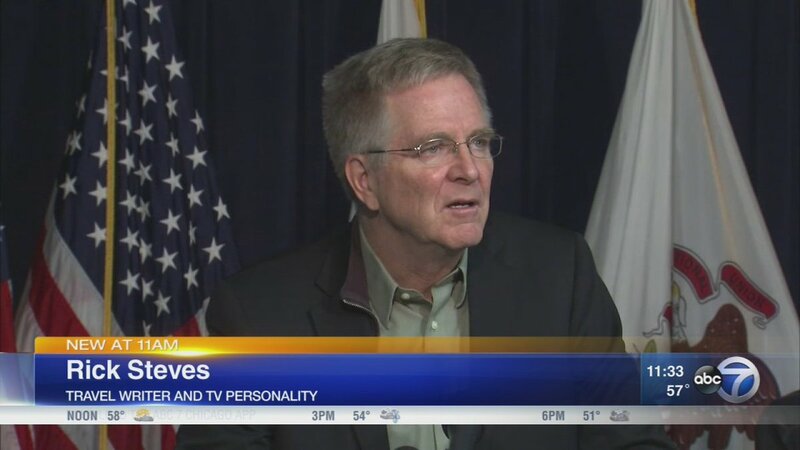 Meet the new Rick Steves. Season 10 of Rick Steves' Europe is premiering now on public television! In Episode 1002, “Lisbon,” we remember great navigators, eat lots of cod, stroll the city's back lanes, enjoy soulful fado music, and side-trip to Sintra. In Episode 1001, “The Heart of England,” I explore Britain's venerable universities, its royal heritage, and reminders of its industrial might. Rescued from the cutting room floor! Here’s a fun little scene that we just didn’t have room for in Season 7 of Rick Steves' Europe. Please join my friend Britt and me as we enjoy an elegant afternoon of shopping and tea in London. My new special, “Rick Steves' The Story of Fascism in Europe,” premiers this fall. Our goal: to learn from the hard lessons of the 20th century — and to recognize that ideology in the 21st century. Don’t see it in your local listings? Please ask your public TV station to add it. Mussolini loved big rallies. From his balcony, he whipped his followers into a mass frenzy — igniting a new, amped-up kind of nationalism. Despite calling his party “National Socialist” (a.k.a. Nazi), Hitler abolished unions, privatized many industries, and was backed by corporations. Season 10 of Rick Steves' Europe debuts this fall on public television with 12 all-new episodes. Check your local listings for air dates — and keep on travelin’! In "Rick Steves' The Story of Fascism in Europe," I travel back a century to learn how fascism rose and then fell in Europe — taking millions of people with it. Check local airtimes — or watch the full, one-hour special, streaming for free — at https://t.co/cXNiqsEWF5. In my newest one-hour special, I sail from Barcelona to the French Riviera to Rome to Athens, exploring the ins and outs and pros and cons of cruising. Check your local public television listings for “Rick Steves’ Cruising the Mediterranean” — and keep on travelin’! The Highlands stoke kilted dreams of Scotland…where legends of Bonnie Prince Charlie swirl around lonely castles. In Episode 1010 of Rick Steves' Europe, we visit Scotland's Highlands. Check your local listings — and keep on travelin'! In Episode 1011 of Rick Steves' Europe, we visit Scotland's islands. Check your local listings — and keep on travelin'! When I think about how close this came to being broadcast across the USA, I shudder. After visiting Glasgow, we'll tour Stirling Castle, have a wee dram on the Speyside Whisky Trail, and watch a sheepdog demonstration. Check your local listings — and keep on travelin'! In Episode 1003 of Rick Steves' Europe — “Portugal’s Heartland” — we dance on the beach at Nazaré, marvel at a medieval abbey in Batalha, revel with university students in Coimbra & savor port wine with the people who made it. 🇺🇸 "Dining is one of the premier attractions in #Lyon, which is regarded by many as France's foodie mecca"
Follow Rick Steves steps while he enjoys the best Lyon has to offer! 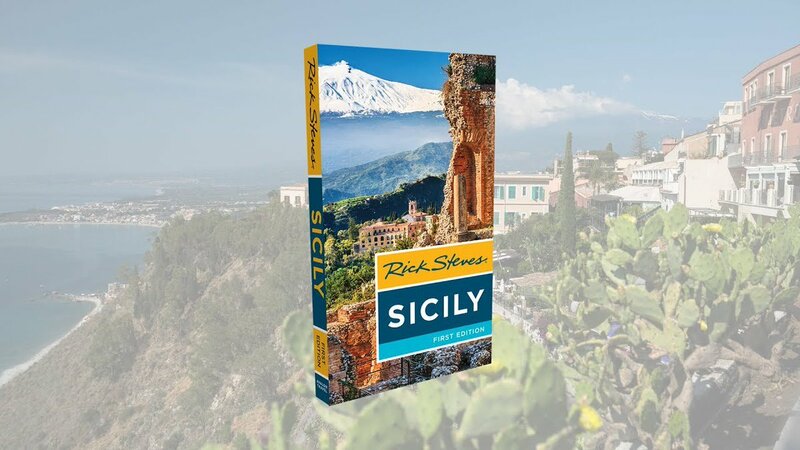 For years, readers have been asking me, “Hey Rick, when are you going to write a guidebook about Sicily?” Well, how about right now? My new Rick Steves Sicily guidebook is here! Grab your copy today at https://t.co/SUu9TJTsIO — happy travels! There's no point in an exhaustive guidebook now. The internet is exhaustive. The Steves books are opinionated. They make choices, which you could debate (no Geneva in the Switzerland book, no Sicily in the Italy book) because it's Rick's view of how you should spend your time. Hitler systematically silenced the free press, intellectuals, and universities. The evils of fascism were incremental. Small evils became big evils. And then the Nazis built death camps. The thing I'm most proud of in my TV work: authenticity. Everything I experience on-camera is something you can do as well — no celebrities, luxury lifestyles, or daredevil adventures. Season 10 of Rick Steves' Europe is premiering now on public TV. I hope you can tune in!